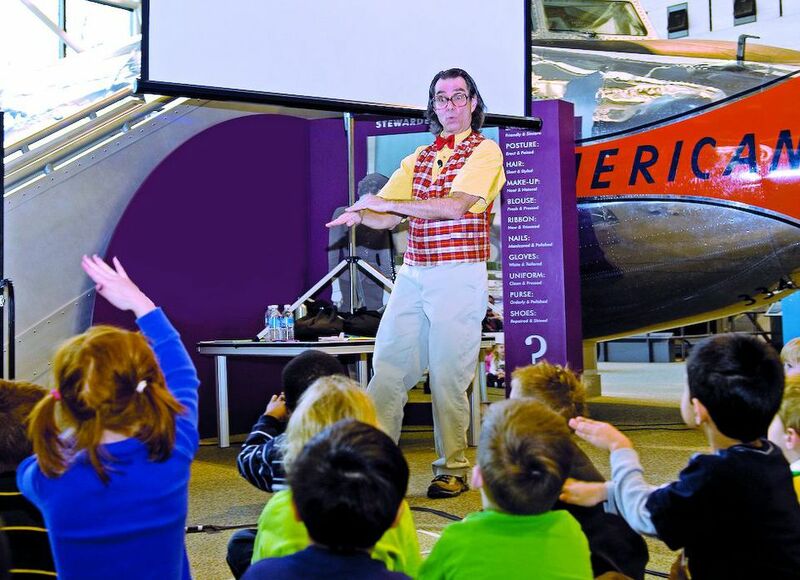 The Smithsonian's Discovery Theater is a live theater designed for children ages 2 to 16 that spotlights cultural and heritage arts, museum theater, living history, and accessible science and math. It’s a destination for live performances on the National Mall, presenting a full season of shows that offer a gateway to the Smithsonian museums. Performances are open to the public. Touring productions and classroom programs are available for students throughout the Washington DC area. Advance reservations may be arranged for school groups and youth organizations. Discovery Theater is located on the 3rd level of the S. Dillon Ripley Center, located at 1100 Jefferson Drive SW, on the National Mall, adjacent to the Smithsonian Castle. The closest Metro station is the Smithsonian on the Orange and Blue line and L'Enfant Plaza stop on the Yellow and Green line. Parking is very limited near the National Mall. For suggestions of places to park, see a guide to parking near the National Mall. Ripley Center also houses the Smithsonian International Gallery (featuring changing exhibitions from the Smithsonian's Traveling Exhibition Service, the National Portrait Gallery, and other Smithsonian museums), Smithsonian Associates (Local residents can become resident members and participate in a variety of educational and cultural programs including lectures, performances, seminars, film screenings, and local tours) and a small conference center and meeting rooms. Visitors enter the building from a copper-domed kiosk between the Castle and the Freer Gallery of Art. Most of the facilities are underground in this unique setting. Tickets range in price from $5-8. Schedules vary throughout the year, but most performances are held on weekdays at 10:15 and 11:30 a.m. For information on Discovery Theater’s season and to purchase tickets, visit discoverytheater.org or call (202) 633-8700. You may bring your own food and feel free to picnic on the National Mall. Most of the Smithsonian Museum's have their own cafe's which are expensive and often crowded. There are a variety of restaurants and eateries within walking distance to the museums. All of the museums and most of the memorials on the National Mall have public restrooms. The National Park Service also maintains a few public facilities.